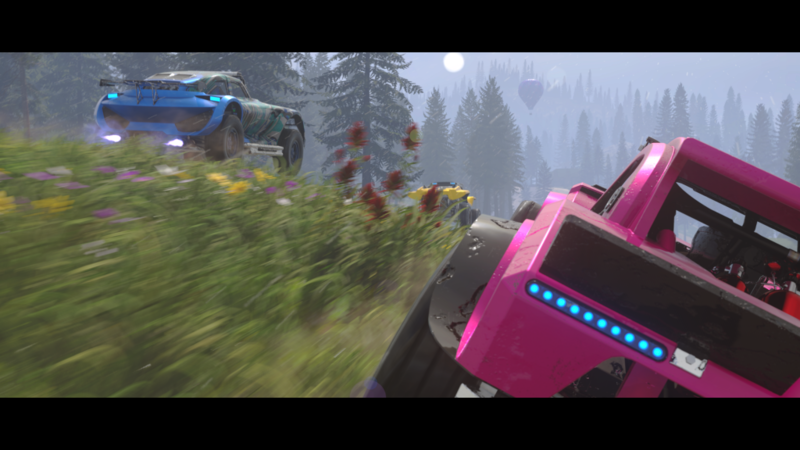 Ever since I’d seen trailers for ONRUSH, I was excited: Finally a game that brought the fun back in racing with over the top action, tricks, boosting and above all: takedowns! When more details trickled in, I became more sceptic however: “What? No finish line?” & “Huh, it’s a team game?” were thoughts that popped up and raised some concerns. I decided to keep an open mind though and was happy to be allowed to test the beta ahead of release. The team used the beta to collect user feedback and they’ve made plenty of changes before we got our hands on the final version. So the question is, did I get my rush on? Let’s shift into first gear and start with one of the best aspects of the game! It. Looks. Gorgeous. Absolutely stunning 4K graphics and a stellar use of HDR! Really, I could dedicate this entire review to how much I enjoyed the looks of the game. 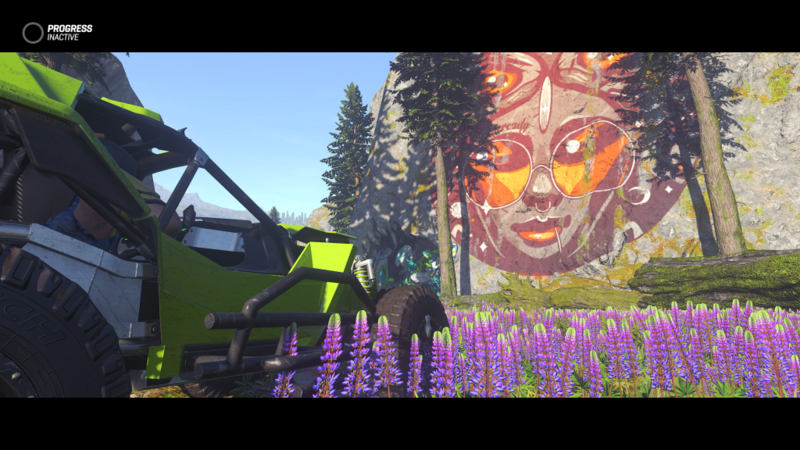 The aesthetics have a kind of punk-rock, skater-park feel to them and spaces that would be empty in other racing games are instead decorated with lovely murals that will make you stop in your tracks. The art inclusion makes the game pop with colour and style! Picture taken 3 seconds before I got T-boned by an opportunistic opponent. 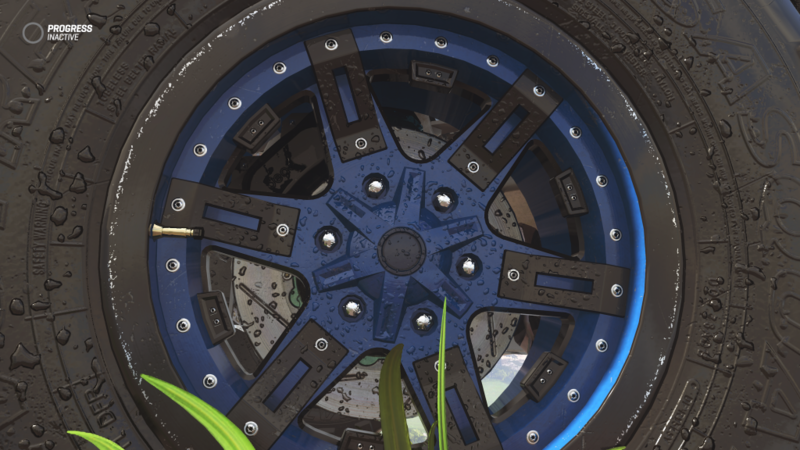 And this is that very same image, but zoomed in on the wheel. Witchcraft I say! I’ve been told that DriveClub (same developer) had a similarly impressive photo mode, but I haven’t had the pleasure to play that game yet. I only know that I easily spent 25% of my time messing around with this and trying to make the best looking pictures I can. I’m a long shot away from making gifs as legendary as SunhiLegend’s, but I like to think I’ve managed to capture some decent ones! What I did appreciate were the commentators spurring me on. 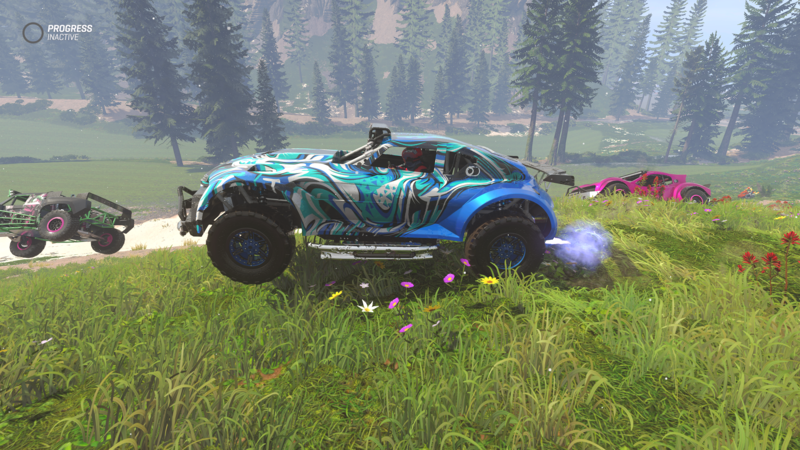 I know a lot of people hated DJ Atomica from Burnout and SSX, but I’ve got some fond childhood memories of those games and this took me right back. Points are earned by boosting, try to boost as much as possible and perform takedowns when you see an opportunity to prevent that opponent from earning points for the team (for a while). This is the most basic of the game modes and whether or not you win depends mostly on how many takedowns your team can score against the other team, as almost everyone is boosting ALL the time. 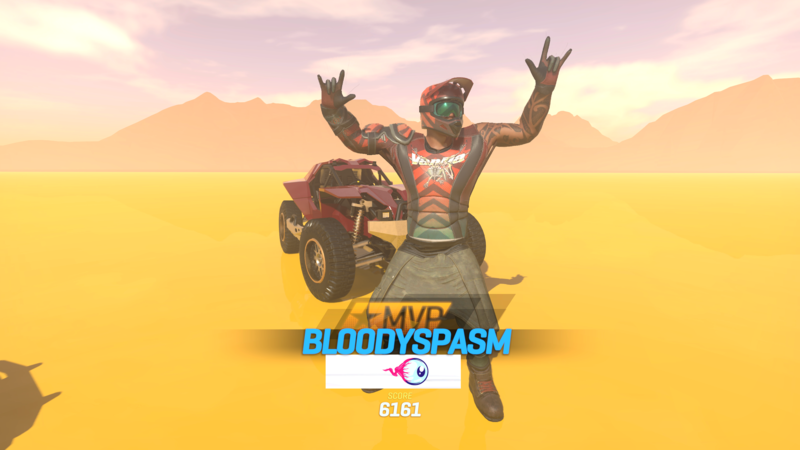 Earning boost is so easy that it almost loses its meaning: You get it from taking down fodder (more on that later), being airborn, performing tricks (with bikes) or barrel rolls (with cars) or by taking down opponents. It’s still fun and needed including, but I hardly ever let go of the A button and don’t recall ever being without at least some boost in the tank. Each team has a timer that’s ticking down. Throughout the track there will be gates you have to pass through to add more time to your team’s clock. You’ll have to be smart about just trying to hold back and hitting all the gates, or going for a takedown so your unfortunate opponent misses a few of theirs. Whenever I played this mode I found the wins or losses usually came down to a one or two second difference. It makes for an exciting finish, sure, but it also made me feel like my personal contribution to the outcome wasn’t as big. l is to get a majority of your team’s members in the zone so you start capturing it. This sound simple, and the concept is, but the actual gameplay is anything but. For me, this mode was the most frustrating element out of the single player experience as the opponents’ AI buzzed into that zone likes bees to honey, while your own mates lagged behind, making you do most of the work. You could have a decent run, capturing 5 zones almost by yourself only to be taken down and having lost a zone and a half by the time you’re back in the action. I spent more time looking at this screen than I care to admit. 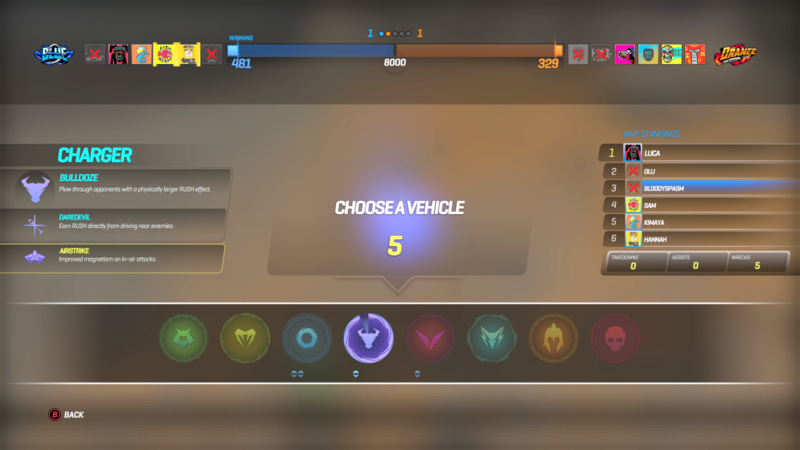 Since we’re staring at the above screen together, now seems like a good time to mention the different vehicle classes. There are 8 in total and they each have something unique to add to the mix. They mainly differ in how agile or sturdy they are and also how they earn and use RUSH, a special technique that you can activate only after filling the RUSH bar to 100% and that will facilitate your takedowns or provide buffs to your team / negative effects on the opponents. 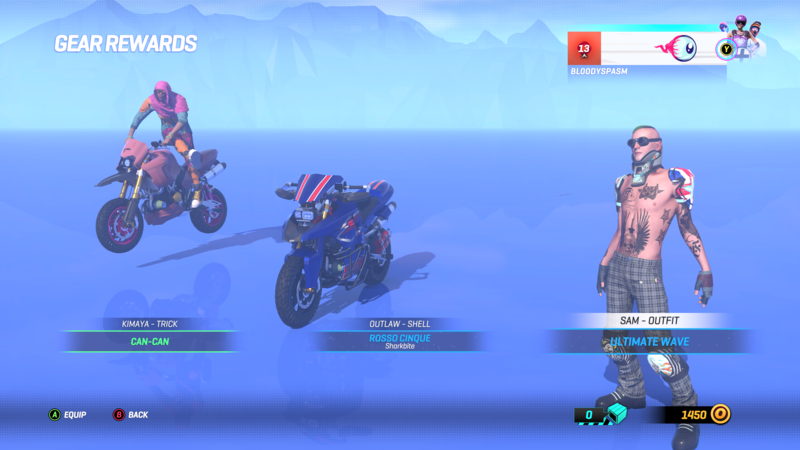 Personally I enjoyed the bikes the most as you can easily earn rush by performing tricks and the Blade model even goes full Tron Lightcycle when you activate your rush, wrecking havoc on all those that cross your trails of fire. At the flipside, they are the easiest to takedown so prepare to have a bulls-eye on your back. 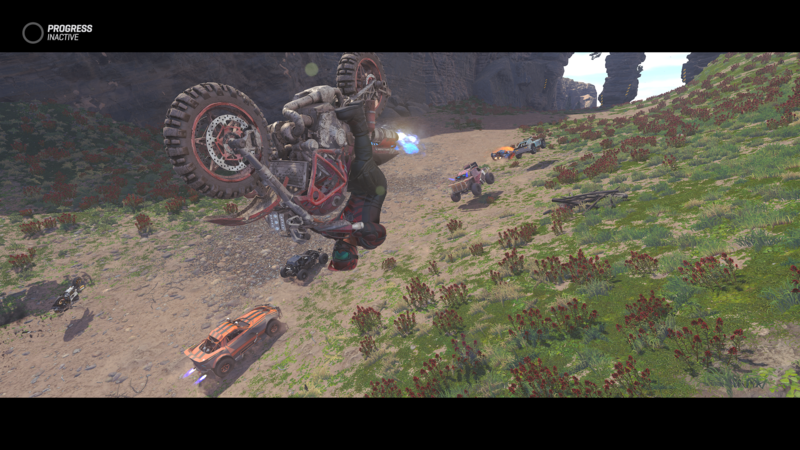 These different vehicle types play well into the team-based focus of ONRUSH, as you can pick the one that best suits the situation at hand, very similar to how you’d pick a different weapon loadout in a shooter. Another major part of the game, is the Fodder. 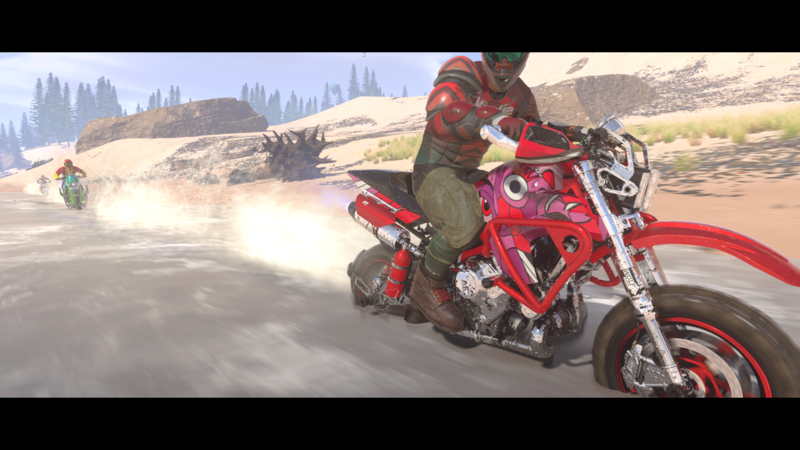 These are non-player bikes & cars that don’t boost and are easily crushed. They serve as bitesized bits of boost that race along you on the track. It makes for a far more enjoyable experience than would have been the case if they dropped static boost tanks across the roads. I hope we see more of these in other gametypes soon: I loved this kind of AI controlled “things-to-do-while-there-are-no-real-opponents-in-sight” in Titanfall and I equally appreciate them here. Now, after that bit of praise, back to some nitpicking. I mentioned before how you spend too much time looking at that wait screen. Likewise the game forces you to look at a victory screen after each match, win or lose. 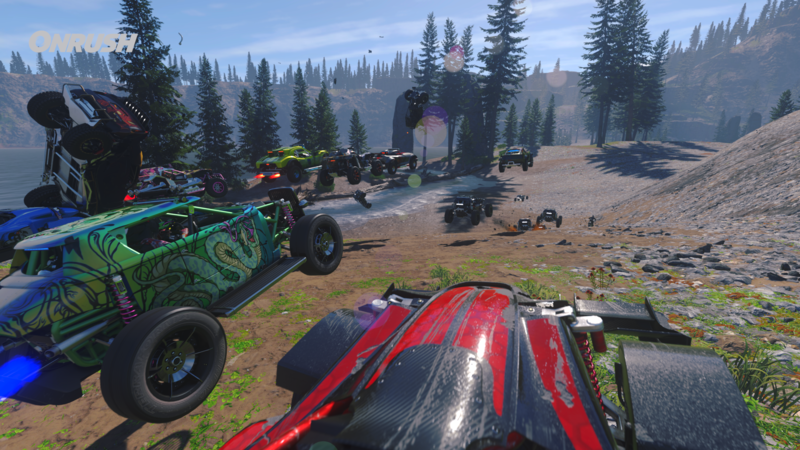 At first I though these had a charm to them, but eventually I really wanted to just skip them and get back into another race. 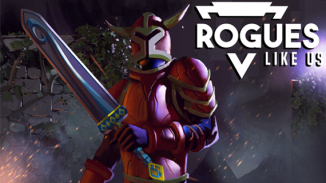 You earn money and loot crates by completing matches and leveling up. These can all be used for one thing only though: Cosmetics. While that’s perhaps good for balance (someone with more money doesn’t have a better vehicle than you) it doesn’t really offer much incentive to me personally to unlock all of it. I was quite happy with how my character and cars looked early on, so there wasn’t really any point in even opening the loot crates. What’s more is that the Character outfits are just different coloured clothes, their look doesn’t change one bit. The Vehicles luckily get a better treatment as they at least have some different bodywork. can-can I please get some cooler outfits? Now, let’s put this review in reverse for the next three issues I’m going to raise. 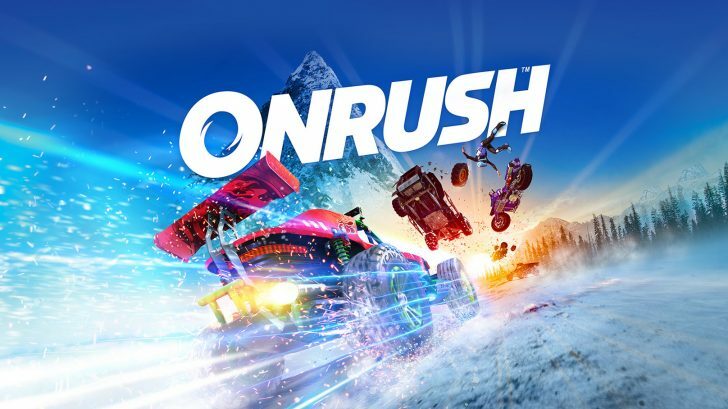 Perhaps the worst offenders in the game: First off, ONRUSH is an “always online” type game. This means that even for the Single Player, you’re required to be connected to the server. I’d be fine with this if it didn’t kick me out every so often. Server update? Back to the Title Screen. You went away to get a snack & drink? Back to the Title Screen. 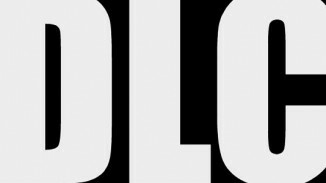 You dared browse the Gamehub or look at your picture collection on your Xbox? BACK. TO. THE. FREAKING. TITLE. SCREEN. 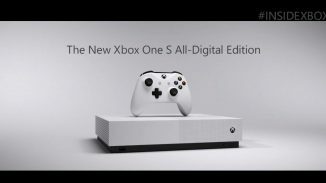 EDIT: I spoke to the developer and they’ll add the option to play offline in the game so you can tackle the single player without having to worry about the server disconnects. For now, you can turn off your internet connection if you encounter the issue often. This wouldn’t be the end of the world because most matches are pretty short, but if this happens in match 3 of a 4 match tournament… there better not be young kids around or they might pick up a new curseword or two! 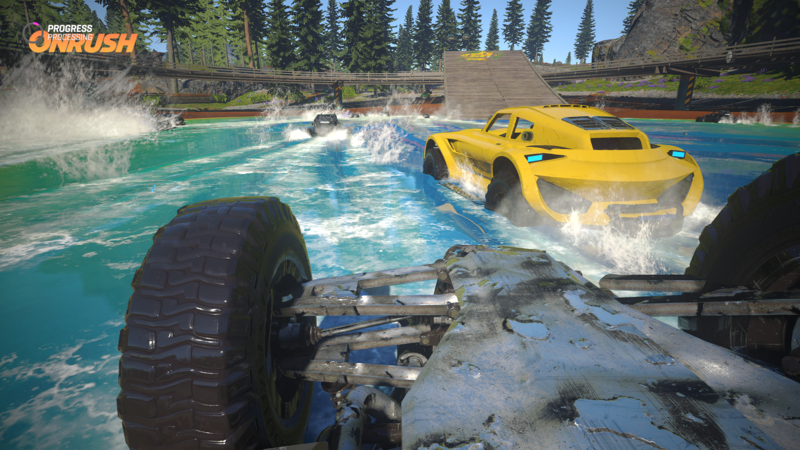 And while we’re on the topic of potential onlookers, I have to put a big fat marker through the “has split-screen multiplayer” line on my racing game checklist. 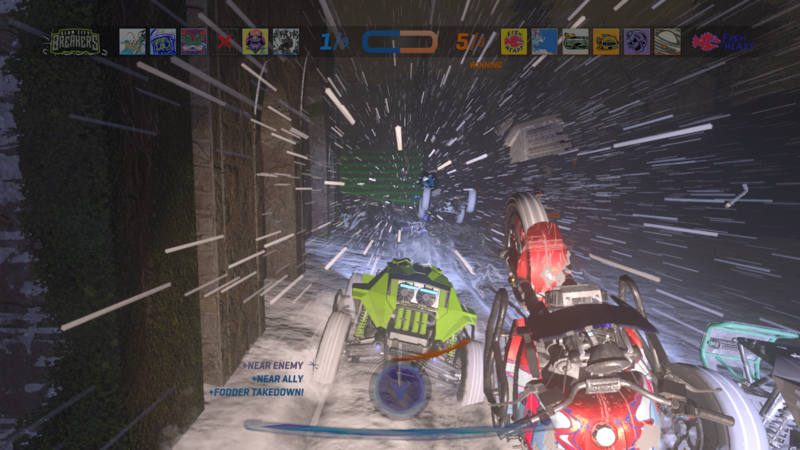 You can only play ONRUSH with online people, so don’t invite friends over to play on the same device/screen as you. It ain’t gonna happen. Back to business: There are 12 different tracks to “race” on and while there are some that look amazing and have a few neat setpieces ( the damn comes to mind) I can’t help but shake the feeling that some of them look a bit too much alike. The fact that you’re always driving multiple laps around them also doesn’t do it any favours as after a few hours you’ll have seen them all many times over. Luckily the also added a day/night cycle and a weather system in the game to shake things up. This provides for some lovely looking screenshots when the sun is setting or when the sparks fly at night (again, the photo mode here is BONKERS!). But it does come with the downside of sometimes having to face a nighttime blizzard and you can’t see 10 feet ahead of you. the still photo helps, but at 120Mph it ‘s deadly! 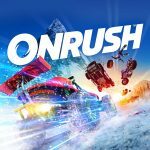 ONRUSH is a fantastically fun game that reminds us why we love to get behind the virtual wheel and boost/takedown our way through the opposition. I may have come over as too negative with those last few remarks though but I absolutely had a lovely time with it and in fact, I’d rather be playing more of it instead of writing this review. I just can’t help but raise the red flag on the few major issues it has. If Codemasters manages to tackle some of these, you can add at least half a point to the score at the end of this review. EDIT: and that’s just what I did; bugfixes combined with listening to community feedback made me up the score to an 8! Just downright fun to play! Could use more variation: Songs, Racetracks, characters.